This is an unauthorized interview documentary. Probably made in Germany. On the back it reads "Motorhead are the founding fathers of speed and thrash metal. Without the band there would be no Slayer or Sepultura so you´ve at least got to give Lemmy and Co props for being so influential. 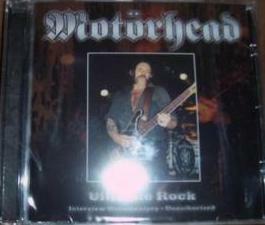 Ultimate Rock contains interviews about the greatest Rock band Motorhead".